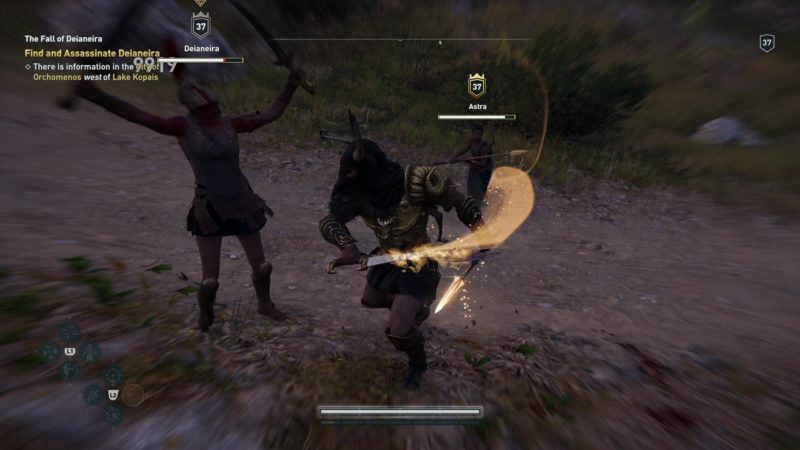 The Fall Of Deianeira is one of the four quests in Assassin’s Creed Odyssey under the main quest of The Conqueror. Your role is to look for Deianeira and eliminate her as one of Boeotia’s champions. 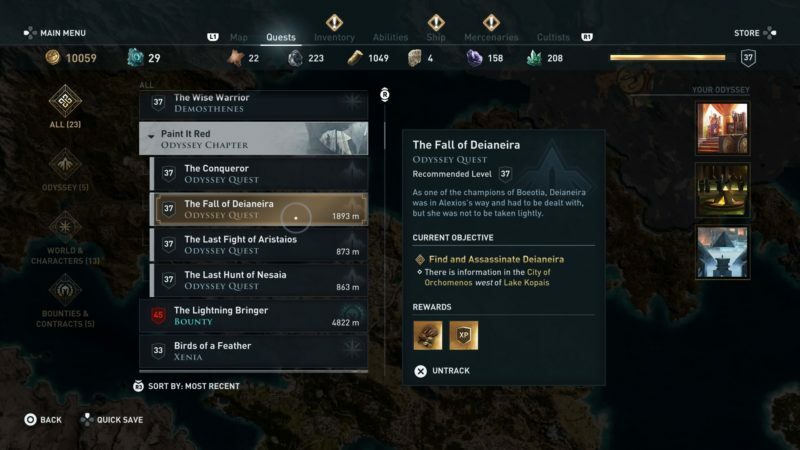 Here’s a short walkthrough of The Fall of Deianeira in AC Odyssey. This quest is recommended for level 37 and above, but it may differ according to your character’s level. 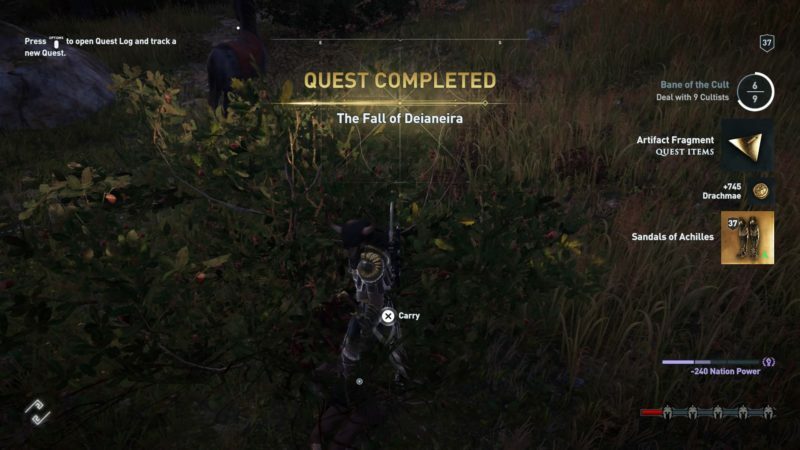 Your only objective of this quest is to look for Deianeira and assassinate her. 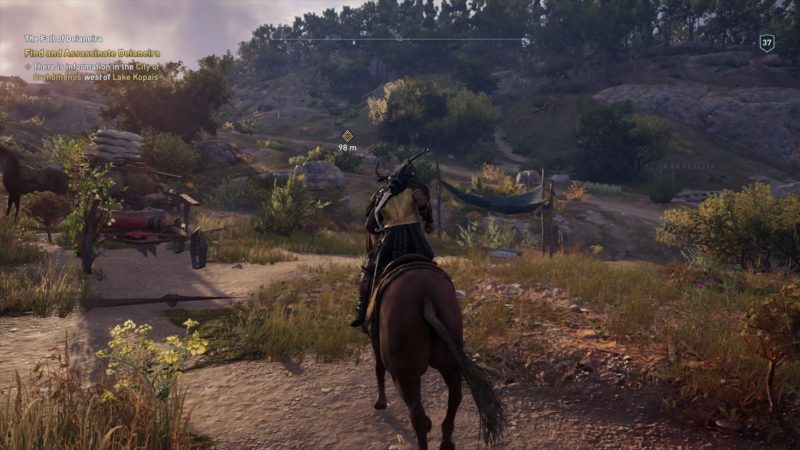 She’s located somewhere near the City of Orchomenos, west of Lake Kopais. 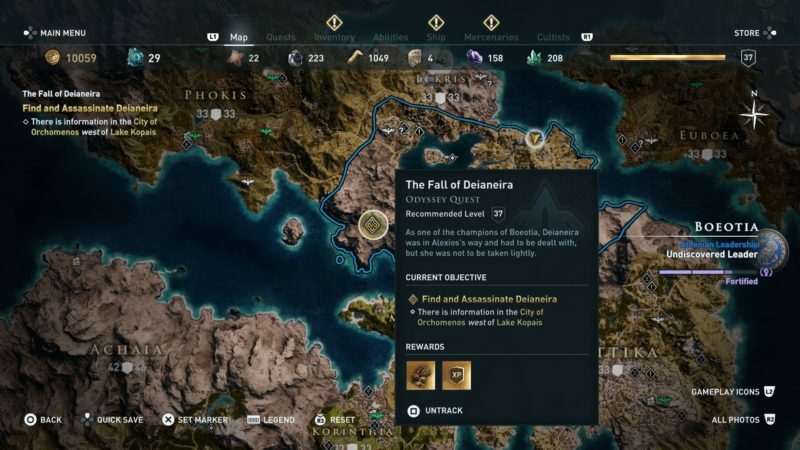 Her exact location is shown in the map below, marked as the quest symbol. 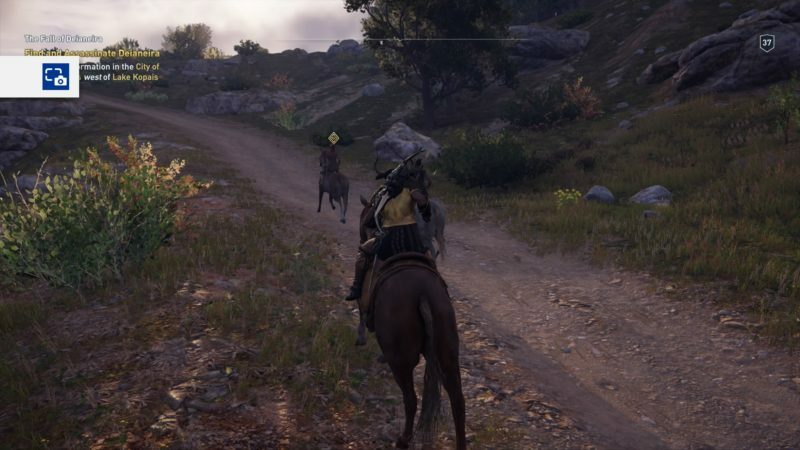 As you approach the destination, you will notice that she’s on a horse and leaving the area. Get to her and kill her. There may be guards following her. Fight and kill Deianeira. You will probably have to deal with the guards as well, as you can see in the image below. After killing her, you should be able to loot some items, from her and from other soldiers. The quest completes once Deianeira is dead. 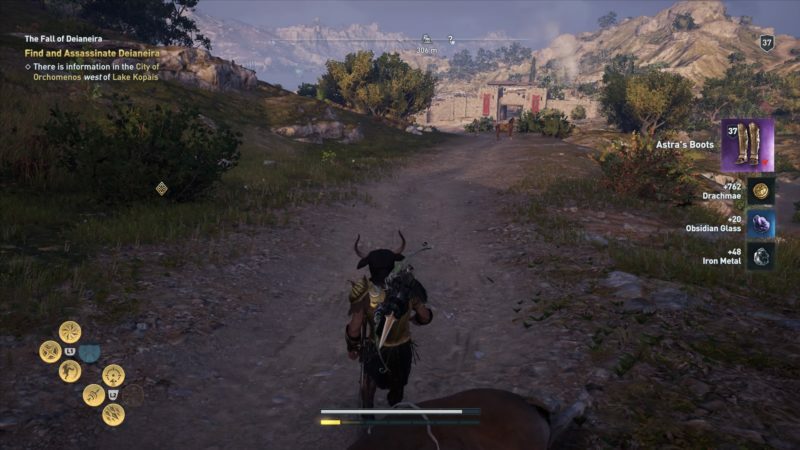 You will get an artifact fragment, some drachmae and the Sandals of Achilles. She’s part of the cult of Kosmos if not mistaken.